A new housing fund is being set up to help Christchurch families on modest incomes buy their own home. The Christchurch Housing Fund will be established using $3 million of funding from the Government, Social Housing Minister Amy Adams announced today. It is intended the Government’s contribution will be matched dollar for dollar by the Christchurch City Council, but the Council’s contribution has yet to be finalised. 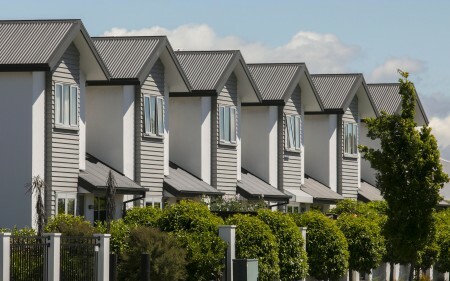 The Christchurch Housing Fund will help aspiring home owners by providing a second mortgage of up to 40 percent of their house purchase price, which will make their bank mortgage more affordable. The fund will use several criteria for deciding who will receive financial assistance. It will prioritise households at or below the median income level for Christchurch, households with children, and those with existing savings. “I have been working with the Government on this proposal for some months so I am delighted with today’s announcement. This is a hugely positive outcome for Christchurch," said Councillor Vicki Buck. “The Housing Accord, which is supported by our own Housing Policy was always designed to look for innovative housing solutions to break down barriers to home ownership and this one ticks all the boxes. Christchurch is a city where you can still buy a place to live for less than $400,000, so we are an affordable city to buy your first home. This announcement means a new group of people will have that chance." Find out more about the Christchurch City Council Housing Policy. Councillor Buck said the Council had yet to work through all the details of how it would administer the fund but it expected to be in a position to accept applications by the end of the year. “The wonderful thing is that this proposal is one of shared equity where the capital is repaid and is used to help other people into their first home. That means the capital will be constantly reinvested to help more Christchurch people into their own home," Councillor Buck said.